This is the true essence of entrepreneurship! If there is marijuana4sale, bring cookies. Cypress Hill played an amazing set on a side stage at Rock on the Range in Columbus, Ohio. Rock on the Range has been billed this year as the largest Rock Festival in America, with 44 bands and 3 stages. A Rap band, Cypress Hill stood out as true professionals at the exclusively “hard rock” concert. 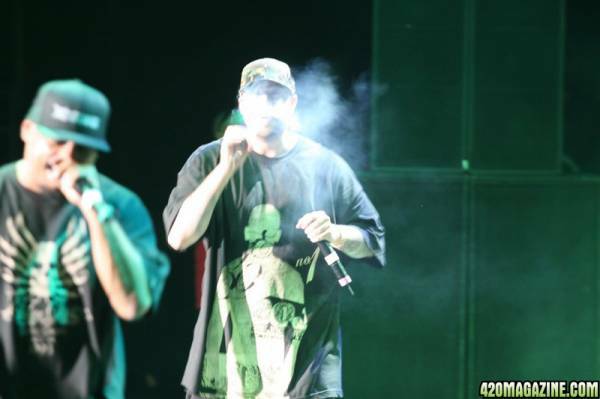 Midway through the set, front man B-Real lit up a joint and smoked the entire thing on stage. 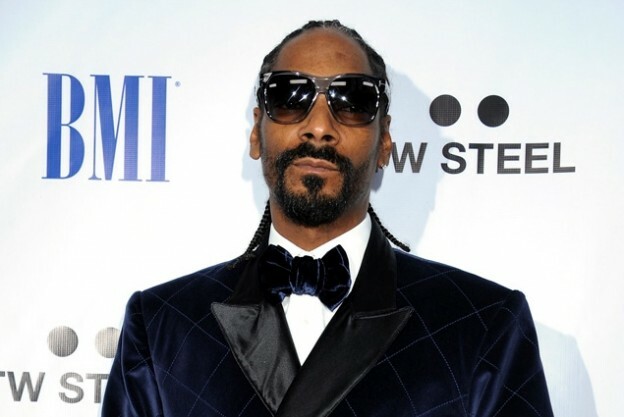 We definitely support his efforts to promote legalization! As the only non-Rock band at the festival, Cypress Hill’s performance was certainly a breath of fresh air amidst all the hard rock angst. Denver Police officers arrested five people in Civic Center this afternoon, after a garbage bag full of marijuana was allegedly dumped out, re-bagged and passed out to park patrons. Around 12:30 p.m., officers were called to the park, near where Occupy Denver typically holds demonstrations and marches, after they received reports of the marijuana, said Sonny Jackson, a spokesman for the Denver Police Department. The bag was dumped on a blue tarp in the northeast corner of the park, police said. About 30 people were in the park when the marijuana a was being distributed. It did not appear that anyone was paying for the marijuana. Officers on bikes, motorcycles and on foot responded to the scene. Several people in the park recorded the incident on cell phones and video cameras as officers loaded the bag into a car. It is unknown if any of the people taken into custody have been arrested at the park before. Their names have not been released. PHOENIX—A deportation officer with U.S. Immigration and Customs Enforcement led Arizona state police and federal agents on a high-speed desert chase in his government vehicle, throwing bundles of marijuana out of the window as he fled, the Department of Public Safety said Wednesday. The deportation officer, identified as Jason Alistair Lowery, 34, had been under surveillance for more than month after a known smuggler who had been arrested gave authorities a tip about the officer in an effort to get lenient treatment, Department of Public Safety Officer Carrick Cook told The Associated Press. In a criminal complaint filed late Wednesday against Lowery, who also used to be a Border Patrol agent, a Department of Homeland Security investigator wrote that he got further information about Lowery through a confidential informant on Oct. 4. The informant, whose identity was protected, said that he or she was involved with Lowery and another man in a “rip” crew in which Lowery used his status in law enforcement to help steal marijuana from illegal immigrants, wrote Brian Gamberg-Bonilla, a special agent with the DPS’s Office of Investigations. The informant agreed to call Lowery and arrange for him to pick up 500 pounds of pot in the desert on Tuesday, which is how authorities were able to follow him and begin to make their case, Gamberg-Bonilla wrote in the document. DPS and federal agents tried to pull Lowery over after he picked up the marijuana with his unmarked ICE pickup truck, Cook said. Lowery then fled, leading agents on a 45-minute chase at speeds of up to 110 mph as he threw 10 of the 14 bundles of pot that he had in the truck out of the window, he said. “He got pretty desperate,” Cook said. The chase began in the Vekol Valley about 45 miles south of Phoenix and ended just south of Sacaton, about 20 miles as the crow flies northwest from where the chase began. It ended when Lowery’s truck rolled over and he gave himself up. Lowery, who lives in the Phoenix suburb of Chandler, appeared in federal court in downtown Phoenix on Wednesday but did not address the court. He sat quietly awaiting the hearing and at one point looked up at the ceiling and repeatedly shook his head. Prosecutor John Lopez argued that Lowery should be detained as his court case proceeds, saying that he poses a risk to the community and could flee the state. He also said that Lowery had a non-government-issued gun on him when he was arrested. Federal Magistrate Michelle Burns set a hearing in the matter for Tuesday. Lowery’s court-appointed attorney, Rebecca Felmly, declined to comment. Lowery’s wife, who identified herself as Trina Lowery, also declined to speak to The Associated Press. Mexican drug cartels have infiltrated federal law enforcement agencies along the border for years, targeting hiring initiatives with their own people or recruiting officers. Between 2003 and early 2010, 129 U.S. customs officers and Border Patrol agents were arrested on corruption charges, according to Tom Frost, the Department of Homeland Security’s assistant inspector general for investigations. The office was not immediately able to provide an updated figured to the AP. He said any amount of corruption in a police agency, let alone dozens of cases, destroys the public’s confidence and criminals’ respect. The heart of the problem lies in recent hiring booms in ICE and the Border Patrol in which the bar was lowered to meet hiring quotas, Dorcy said. As for the corruption cases he investigated, Dorcy said it usually came down greed. “They just want to make more money than the job offers, and they get offered a very tempting amount of money,” he said. In one notable case, former Customs officer Margarita Crispin was arrested in El Paso, Texas, in 2007 and sentenced to 20 years in prison after pleading guilty to conspiracy to import more than 1,000 kilograms (2,204 pounds) of marijuana. Prosecutors alleged that she accepted more than $5 million in bribes over several years in exchange for letting smugglers’ vehicles pass through her checkpoint without inspection. In a more recent case, former Border Patrol agent Michael Angelo Atondo was found guilty of trafficking marijuana in southwestern Arizona after fellow Border Patrol agents found him in a remote area along the border near San Luis—several miles outside of his patrol zone—with 745 pounds of marijuana in his vehicle. Prosecutors say Atondo appeared to be a mole who infiltrated the agency to smuggle drugs. The 34-year-old will be sentenced Jan. 9. In Lowery’s case, DPS believes that he was taking the 500 pounds of marijuana that he picked up in the desert to a man working for a drug cartel whose house served as the nexus of the drug distribution. Lowery was booked into Pinal County jail on charges of smuggling and felony flight and was turned over to ICE custody Wednesday morning. The sheriff’s office also booked the man who was to receive the marijuana, identified as 33-year-old Joshua Duane Powell of Arizona City. At Powell’s home, police found 14 rifles and guns in the trunk of his car, seven of which had been reported stolen, according to a DPS document. The document also said that Powell had been out on a $25,000 bond stemming from a separate investigation last month in which multiple bulletproof vests, weapons, stolen night-vision equipment, hundreds of rounds of ammunition and various drugs were found in his home. “Since his release only a few weeks ago, (Powell) has amassed a small arsenal of weapons and has proven to continue involvement in the illicit drug trade,” the document said. Powell does not yet have an attorney and he has declined interview requests from the news media. ICE spokesman Vinnie Picard said that Lowery worked as a deportation officer for the agency since August 2008 but declined to provide further information about Lowery. Lowery worked as a deportation agent in ICE’s fugitive operations team, which goes after illegal immigrants who fail to leave the country after they’re ordered to be deported. Such officers carry weapons and have arrest powers. Border Patrol spokesman Mario Escalante said Lowery also worked for that agency before going to ICE, but did not know for how long. One Million Medical Marijuana Users in California? DENVER – Drivers are about to start seeing ads for what is being billed as the largest-ever cannabis convention on RTD buses. “This is merely an ad about an event being held at the Colorado Convention Center. There is nothing specific in that which is illegal per se,” RTD spokesman Scott Reed said. After some discussion, RTD decided to allow the ads on some of the vehicles in its fleet. 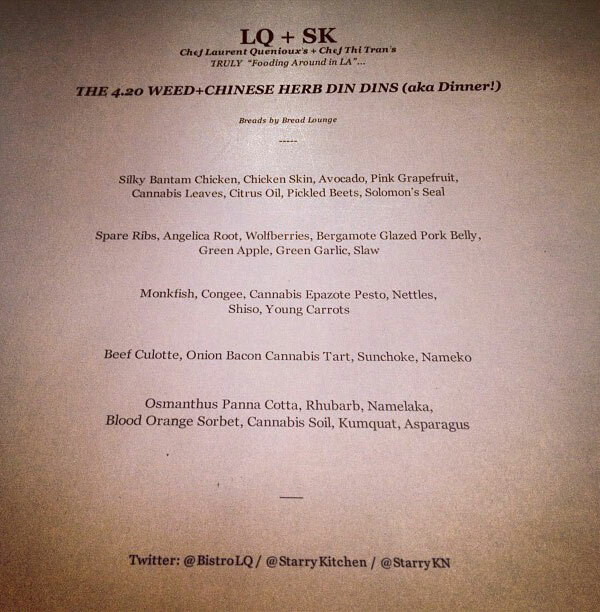 The event is called KushCon. “[It will be] 300,000 square feet of marijuana lifestyle events,” Wanda James, the KushCon II organizer, said. James says it is the country’s largest cannabis convention ever, and it will be at the Colorado Convention Center on Dec. 17 through Dec. 19. More than 400 vendors have signed up. James says Kush is a strain of marijuana. “This is a legitimate industry. This is a legitimate business. This is a legitimate ad,” she said. To James, RTD’s decision to allow the ads on 33 of its buses represents a big deal. “The fact that RTD now has ads on the sides of its buses goes to the legitimacy of that piece and to the social acceptance here in Colorado of the marijuana industry,” she said. Reed says hold on, downplaying the ads. “This does not violate our advertising policy. 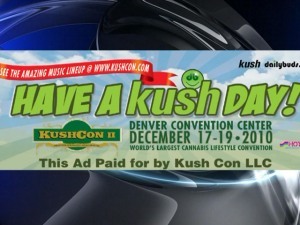 It merely advertises an event being held at the Colorado Convention Center,” he said. RTD still does not allow ads for medical marijuana centers on its buses. “We have a policy in place that allows us to control things that would be extremely controversial or wouldn’t be in the best interest for RTD to advertise,” Reed said. While some newspapers, including The Denver Post, accept ads for medical marijuana centers, many TV stations, including 9NEWS, do not.